Hockey Hall of Famer and co-owner of the Pittsburgh Penguins Mario Lemieux recently listed his Québec summer castle—yes, you read that right. The estate is listed with broker Michel Naud of Engel & Völkers for $21,999,066—the 66 reflects Lemieux's jersey number. 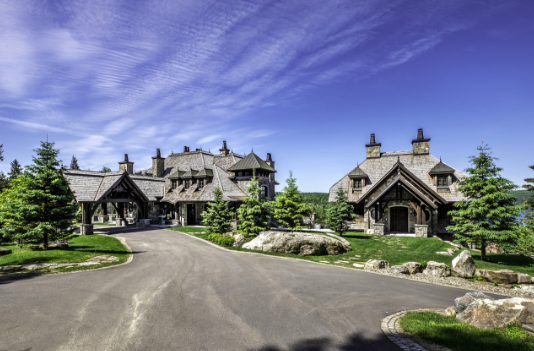 The 50-room, 17,000-square-foot estate is the most expensive single-family home to ever be listed in the area of Mont-Tremblant. 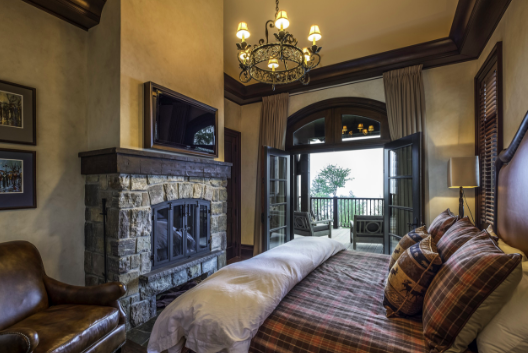 The home, known as the Château Fleur de Lys, flanks Mont Tremblant (the highest-ranked ski resort in Eastern North America) and overlooks Lake Tremblant, with lake views from all of its bedrooms. 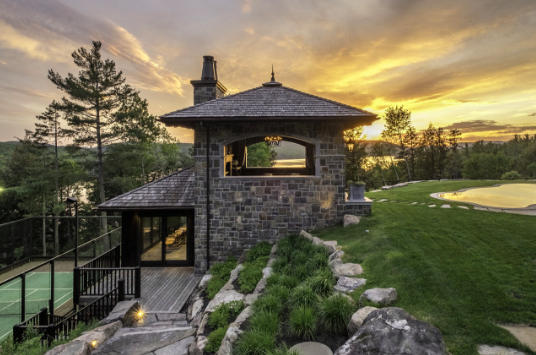 The exterior of the castle is constructed out of Champlain stones, with a split cedar and copper roof, heated floors throughout the property, a geothermal system with five wells and 17 fireplaces to keep you toasty warm through the rough Canadian winter.